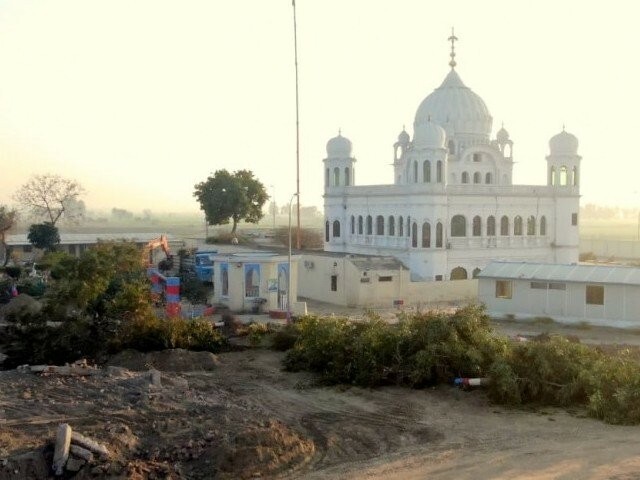 Lahore, January 22 (The Express Tribune): The Indian government has shown its willingness in sending a team in response to Pakistan’s invitation for carving out a joint strategy with regards to Sikh pilgrims’ arrival in the country through Kartarpur Corridor. Sources at the Indian High Commission toldThe Express Tribunethat two dates have been suggested for the Indian delegation’s visit to Pakistan. The Indian team will arrive either on February 26 or March 7, they added. Details regarding the delegation’s itinerary have not been shared thus far. On Monday, Islamabad extended an invitation to New Delhi to hold talks to finalize the agreement on Kartarpur Corridor opening in a move indicating the PTI government’s continued efforts to reach out to the estranged neighbour. The government also shared the draft agreement between the two countries to operationalize the Karatarpur Corridor. Prime Minister Imran inaugurated the ground-breaking ceremony of the Kartarpur Corridor on November 28 last year. Pakistan took this step to accommodate the longstanding request of the Sikh community, especially from India particularly in view of 550th Birth Anniversary of Baba Guru Nanak. “This is in line with Islamic principles that advocate respect for all religions and Pakistan’s policy of promoting inter-faith harmony and religious tolerance and also in line with Quaid’s vision of a peaceful neighborhood. Pakistan would continue with its efforts to bring peace and stability in the region,” said a foreign office statement issued on Monday. The move comes despite no apparent positive movement towards the normalization of relationship between the two countries. With India heading for elections in a few months, there is little chance for any major breakthrough in the near future.